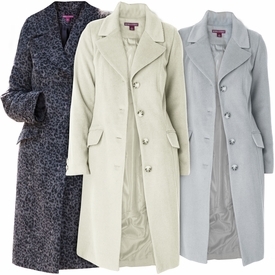 Add a layer of timeless sophistication to any outfit with this �length woolblend plus size coat. It�s equally smart over jeans and a sweater and adds modern style to any casual look. It has side flap pockets and back walking vent. 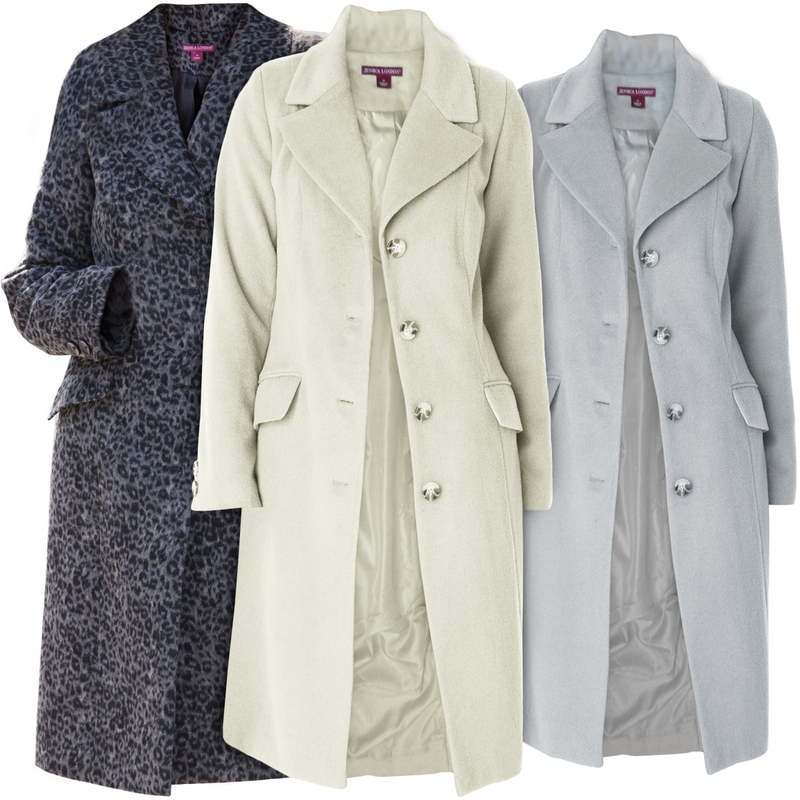 Every plus size wool coat is crafted from newly improved wool to offer you an improved drape, softer touch and warmer wear. It is straight singlebreasted and the fit creates a clean and classic silhouette. 40" length hits just at the knee for an everyday polished look. Tailored notch collar is designed to fit and lay perfectly for effortless style. Long full sleeves give you a flawless fit over. Impeccably tailored with princess seams for shape and fit. 2x (28) - Chest: 55" | Hips: 57"